With summer in full swing there is no better time to discuss some of the best summer festivals in Tuscany. Whether you are walking or cycling any section of the Via Francigena in Tuscany festivals are a great way to enjoy the cities and learn a little about Tuscan culture. When you day dream of Tuscany it is hard not to picture rolling green hills, scrumptious Italian food and half emptied wine bottles but this is only one part of the journey. Tuscany is a region full of historic events, food fairs and unique festivals to keep you entertained as you walk along your trail. 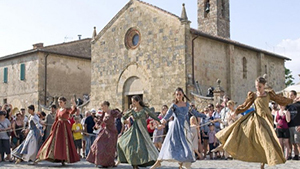 If you would like to go to a festival during your walking or cycling holiday we have put together a few of the best festivals in Tuscan towns along the Via Francigena routes. For the whole month of July the City of Lucca comes alive with the annual summer music festival. 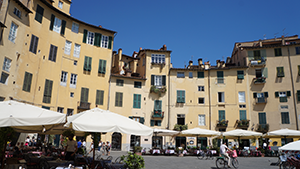 Since 1998 when Bob Dylan first launched the festival the walled city of Lucca has been hosting musical acts from around the world. This is one of the premier musical events in Tuscany each year. This years line up includes famous performers such as Bob Dylan, Paolo Nutini, John Legend, Lauren Hill and many more. 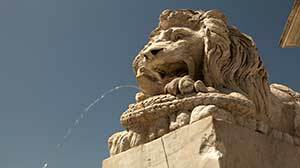 It takes place in the historical centre of Piazza Napoleone (also known as Piazza Grande to the locals). This festival takes place over three weekends each summer. For 2015 it wil l take place from June 27 – 29, July 3 – 5 and July 10 – 12. Each weekend is jam packed full of medieval entertainment. The first weekend includes a reenactment of a battle that took place between Sienna and Florence troops in 1269, a renaissance joust, medieval games with knights in armour and a fireworks display. The second weekend is just as eventful. This weekend is subtitled as ‘Festival in the Castle’. It features wonderful artistic display and has a performance theme running throughout the weekend. Some of the highlights include the opening parade, street theatre, relic booths and the great ball (La Giostra). The final weekend is dedicated to magic and miracles in medieval times. One of the main events will be a great parade through the streets of the castle. The festival will finish will percussion and sounds from the Middle Ages. San Quirico is a charming town in Southern Tuscany. If you searching for classic Tuscan landscape you won’t have to look any further. The village of San Quirico d’Orcia celebrates The Feast of Barbarossa on the third weekend in June. This special festival dates back to 1962 when it was decided to remember the visit of Frederick I of Hohenstaufen or “Barbarossa” before being named Holy Roman Empire in 1155. Highlights of the festival include flag challenges and a medieval costume parade. The village is divided into the four original quarters following the old medieval names for the different parts of the village. Every year, San Gimignano commemorates the traditional Ferie Messum, a fertility festival which dates back to 1255. 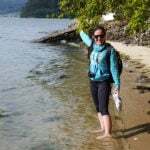 Take a step back in time to when it was common for neighbouring towns to compete for the honour of fertility. It was thought the honour would bring them abundant harvests for the next crop growing season. Highlights of the three days include an archery competition, flag throwing exhibitions and the Rite of Purification ceremony. This purification is in preparation of the Giostra dei Bastioni, where the horses and the public receive the Holy Blessing in Piazza Duomo. The festival usually takes place in June. On the final day over 500 attendees gather for the Grande Procession to parade through the streets of San Gimignano in Medieval Costume. Palio is a famous bare-back horse race around the sand-covered Piazza del Campo that takes place every 2 July and 16 August. This traditional event, taking place in one of the most beautiful cities in Italy, dates back to 1623. The winners of the coveted race celebrate with dinners and parties throughout the city. Festival highlights include a pre-race pareantry of over 700 attendees in medieval costume, religious ceremonies, the Contrade dinners before the race and the Palio itself which is the biggest spectacle. 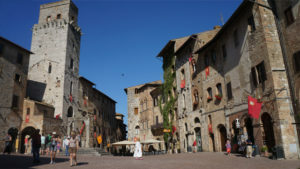 The Piazza del Campo square is filled with a crowd of over 40,000 Sienese residents and 20,000 international visitors. This is one of the most popular festivals in Siena so tickets for good viewing areas are bought up fast and can be expensive. Due to the crowds, it is recommended to get to the square early, bring a good sun hat and water. We hope you enjoy this sample of the best summer festivals in Tuscany. If you are travelling after the summer be sure to check out one of the many Truffle fairs and festivals in the city of San Miniato. Tuscany is a special region in the summertime and there is no better way to experience the landscape then by walking or cycling through the rolling hills. 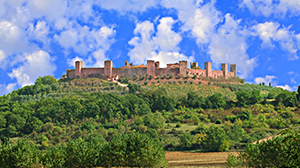 For more information on the Via Francigena, walking in Tuscany, or to book your trip, contact our Travel Specialists.